What is happening during a TRT adjustment. What questions do you ask yourself when you visit your Chiropractor? 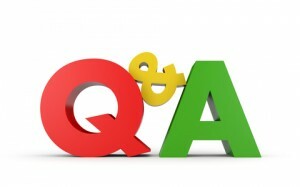 Here are some questions that my patients ask me on a regular basis. TRT focuses on helping your body to look after itself better. Each adjustment is more effective when your body is given some time to respond after each part of the adjustment is delivered. In a sense, the Chiropractor does as little as possible to get your body to do as much as possible. TRT uses the feet to help determine where in the spine the nervous system is being irritated. Just like when a Doctor measures blood pressure with a blood pressure cuff around the arm to tell him/her what is happening in your heart. A TRT Chiropractor uses the feet to tell him/her what is happening in your Central Nervous System. Based on patterns of contraction in one leg compared to the other, by applying pressure to strategic points on the spinal column we can locate exactly where your spine needs to be adjusted. The pattern and degree of tension in your Central Nervous System is mirrored by the pattern of muscle tension and imbalance in the hips, legs and feet. TRT works with neurological reflexes. By releasing the tension within the nervous system, the muscles around the spine relax, releasing the restriction in the joints. It can be that quick and that easy! TRT is ideally suited for adjusting children, and many kids prefer this style of adjustment. TRT has repeated success stories with many and varied childhood health issues such as ear infections, Attention Deficit Hyperactive Disorder (ADHD), colic, sleeping disorders and bedwetting. Discover where you are with your Chiropractic Health continuum. Book your assessment today.